A question that arises from my last post is: where is this resurrected body now? If its physical, where is it in relation to the physical universe? According to the New Testament, Jesus Christ ascended to heaven and is now seated at the right hand of God. But isn’t heaven an immaterial, spiritual realm? After all, “God is spirit” (John 4:24). So how can a body go there? Indeed, some evangelicals deny that a material body can be in heaven. Murray Harris, for example, as best as I understand him, affirms that while the resurrected body of Jesus was physical, at the ascension Jesus’ body dematerialized and became “non-fleshly” (From Grave to Glory: Resurrection in the New Testament [Zondervan, 1990], 142-143). Among other problems, this seems difficult to square with Acts 1:9: “he was taken up before their very eyes, and a cloud hid him from their sight.” Its difficult to understand a cloud hiding Jesus’ body from visibility if he simply dematerialized. 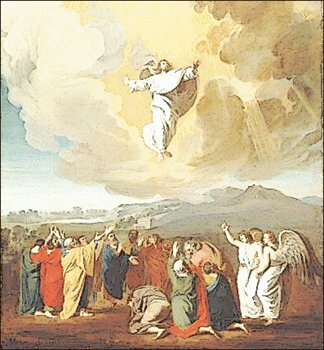 Further, the angels’ statement a moment later establishes continuity between the ascension and the second coming: “this Jesus, who was taken up from you into heaven, will come in the same way as you saw him go into heaven.” Its therefore difficult to deny the bodily nature of the ascension without also calling into question the bodily nature of the second coming. It seems better to me to re-examine our assumptions about the nature of heaven. Why should we assume that heaven cannot accommodate a physical body? We in no position to say what heaven can and cannot be. Heaven is not, as it were, at the outer edges of the universe, such that if only we had powerful enough telescopes we could see it! Its another realm, equally distant and near, the rules of which are totally different and unknown (contrary to Wayne Grudem, who posits heaven as an unseen place within the space-time universe (Systematic Theology: An Introduction to Biblical Theology [Zondervan, 1995], p. 617). After all, the risen Christ can appear to Saul on the road to Damascus without leaving his heavenly throne to do so (or for that matter, without ceasing to hold the universe together [Hebrews 1:3, Colossians 1:18]). Heaven is so utterly beyond our mental capabilities to grasp that we shouldn’t be surprised that it destroys our rigid physical/spiritual dichotomies. Furthermore, the ascension to heaven of Enoch in Genesis 5:24 and Elijah in II Kings 2:11 both seem to be bodily. Hebrews 11:5 tells us that Enoch “was taken up so that he should not see death,” and II Kings 2:11 says that “Elijah went up by a whirlwind into heaven.” Both texts explicitly point out there was no trace of them after they left (Hebrews 11:5, II Kings 2:12). If heaven cannot accommodate bodies, one has to provide an alternative explanation of where the bodies of Enoch and Elijah went. While the idea bodily existence in heaven may seem strange to our limited minds, its not fundamentally any stranger than the incarnation. If one accepts that the Son of God left heaven to take on a body, it would be difficult insist that he cannot take that body back into heaven with him when he returns there. To put it even more simply, if you already believe God became like us, its not much harder to believe he remained like us. Interesting! I think about these things, especially at Easter. What do you think of N.T. Wright’s idea that heaven is going to be on the new earth? That would make more sense, re: having new bodies, but it still leaves me wondering where Jesus went as well as those Christians who have died. Hi Erin! I haven’t read Wright in detail, so I am only vaguely familiar with his view, but I think I would agree that the new earth described in Revelation 21 is the final destination for church. I certainly think Christians can use the term “heaven” to describe that place/state as well. It seems to me there is both continuity and discontinuity between earth and the new earth – i.e., its the same place, but dramatically and decisively renewed. I haven’t thought it through enough to say much beyond that. What do you think? Have you read much of Wright? Hi Gavin, I read his book Surprise by Hope–I liked it but it did raise questions for me and seemed a little depressing because IIRC, he thinks Christians don’t “go to heaven” immediately, but are in a waiting state until the new earth. I actually just bought that the other week, but have barely started. I also find the idea of “soul sleep” kind of depressing! I’ll be looking out for that as I read now, thanks.